Just as the weather was turning warmer this year, I introduced her to the water gently. I had an easy plan to introduce her to the water (since this was a first summer to take a go in a pool), I followed the plan to a T and she was happy as happy could be while she splashed away. 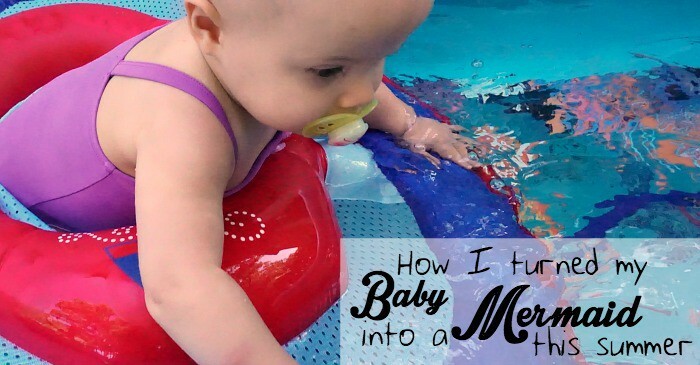 Then we took it a step further…and I turned my baby into a mermaid this summer. Best. Summer. Ever. Heh. We Get in the Water Frequently. No, not every day–but pretty much. We might skip a day or two when we’re going to the zoo or visiting granny, but we get in. We play. We keep it familiar. We Start in Her Swimways Baby Spring Float. Because the lower center of gravity allows her to play with some added security and stability, but the mesh and fabric body allow her a lot of movement (and comfort) to play however she wants–safely. Even if she wants out–we always start in the float, because that’s gives her a sense of control. We Take Her Baby Spring Float With. 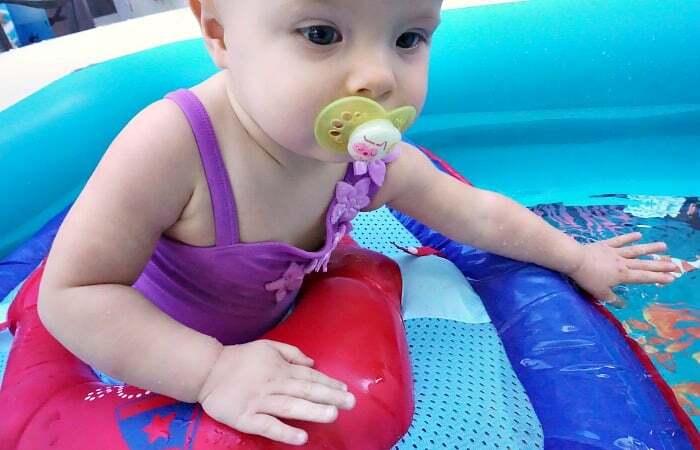 Because, no matter if we’re in our pool or a friends–or even the City pool, I want her to be comfortable in those first few minutes in the water. And if we follow the same routine, then she recognizes what we’re doing and gets her dose of control. Since the Baby Spring Float is easily portable and has the adjustable and removable UPF 50+ sun canopy, we can pretty much go anywhere with it and have everything we need. That is literally how simple it was to turn my baby into a mermaid this summer. The Swimways Baby Spring Float is available online and in-store now through Toys “R” Us, so you can totally get one for your baby, too. They’re perfect for kiddos all the way through 24 months, so even the toddlers…yeah, those that might be a little afraid of the water–they can take advantage of it, too. And don’t forget to leave me a comment, let me know if you’ve turned your baby into a mermaid…Shoot me a comment on Facebook. I’d like to hear from you–especially if you have anything to add to the conversation! So be sure to speak up! LOL!